"Sioux Narrows – Whitefish Bay"
Whitefish Bay, Lake of the Woods, Near Green's Camps, Emo, Ont. 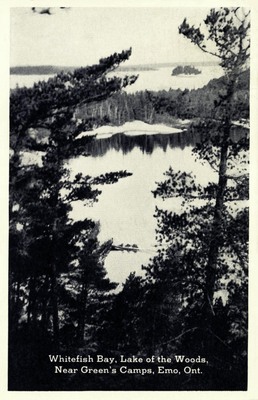 One black and white postcard with a divided back. The postcard was made in the U.S.A.